Despite a rough start to 2014, Tracy Bindel paid off her loans just over three years after her college graduation. When Tracy Bindel made a New Year's resolution to pay off her student loan debt this year, it sounded crazy. 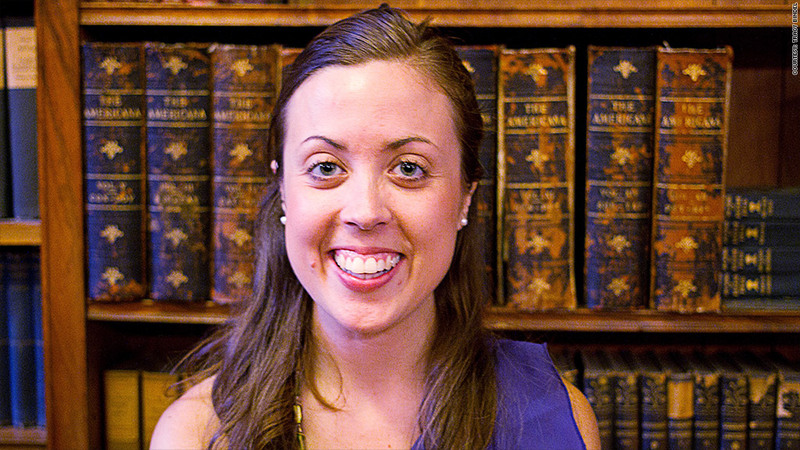 At the time, the 26-year-old Wellesley College graduate didn't have a full-time job. She was knitting together just enough to cover her rent and food by nannying, a ghost writing gig and an internship with a community organization in Boston that paid a mere $200 a month, plus a subway pass. Just sending in the minimum monthly payment on her $13,000 student loan debt was a struggle. Then in March, things got even worse when her writing position was cut. "Trying to find a good job, even with a great school on my resume, is really tricky," she said. But within three weeks of that low point, her internship supervisor at the Institute for Policy Studies told her he was leaving for grad school and would put her name in for his job. It seemed like the break she had been waiting for... until over 150 people applied for the job. As the non-profit interviewed candidates, Bindel filled in as a temp and continued babysitting as many hours as she could. By the summer's end, she was hired full-time at a $36,000 salary. Her older brother managed to pay off over $20,000 in student loans a mere three years after graduating. "He always tells me that debt is an emergency like a flat tire or broken car," Bindel says. "You would put all your money into those things really quickly without thinking about it." She started putting Post-It notes on her bedroom mirror with her college loan balance. She started the year with about$9,000 left to go. "Once I kept looking at the number, it felt tangible," she says. Any extra money she made from babysitting went to pay off the debt, allowing her to pay well above the roughly $100 monthly minimum. Save, save, save: Bindel knows well how to save money and live frugally. Raised in a working class family in New Mexico, her mother would make her separate her allowance into different jars -- 10% for church, 40% for savings and 50% for spending money. Buying new toys took an awfully long time. Faced with having to pay for college on her own, she chose Wellesley because it offered her the best financial aid package. Even so, she worked 20 hours a week during the school year and full-time over the summer to keep her costs as low as possible. Today she buys her clothes from thrift stores, cooks meals at home and either walks or uses public transit. She is proud of furnishing her living space entirely second-hand. "Wherever I can walk, that is where my money goes," she explains. "When you have that mentality you spend less money because you think, 'Oh I need stationary. The stationery store is really far way.'" Another key was finding cheap rent. She pays only about a third of her take-home pay. That enables her to build up savings quickly. By mid-November, Bindel realized she could pay off all her student debts with a final push of $3,800. It was a lot, especially on her salary. "I had a conversation with my brother: why am I not paying this all off?" she says. "I wanted to start afresh. It was a really impulsive decision, but so liberating." After transferring the final amount to Sallie Mae, which serviced her loans, she filled a glass of wine, emailed friends and posted on a Wellesley College alumnae forum on Facebook. The news quickly garnered hundreds of "likes" from around the world. Friends have given her champagne and a plant, and many have asked for advice. "I still had 10 years on those loans," she laughs now. "It's crazy to think about chipping away for 10 more years."